Hello there and thank you for stopping by today. Today is the fourth day of the MFT August Release Countdown. Only 2 days until the new release (yay)! Be sure to head over to the MFT Blog for full set and die reveals for the day. This release is packed full of gorgeous new products. 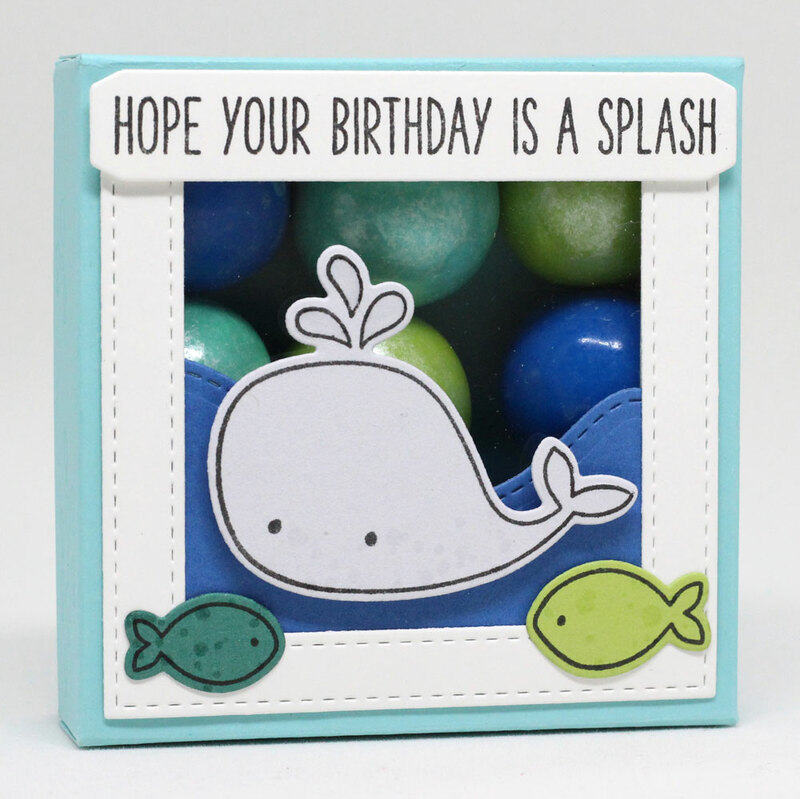 My card today features the new Soak up the Fun stamp set and Die-namics, along with the new Whimsical Waves Die-namics. I created a custom box to house some gorgeous gumballs I bought at Target in the party aisle. I created a window in the lid and made a tiny sea scene on it. These products and many more will be available for purchase in just 2 days, on August 2 at 10 PM EST. Be sure to check out the MFT Blog to see what the rest of the team has come up with today. What an adorable little gift! 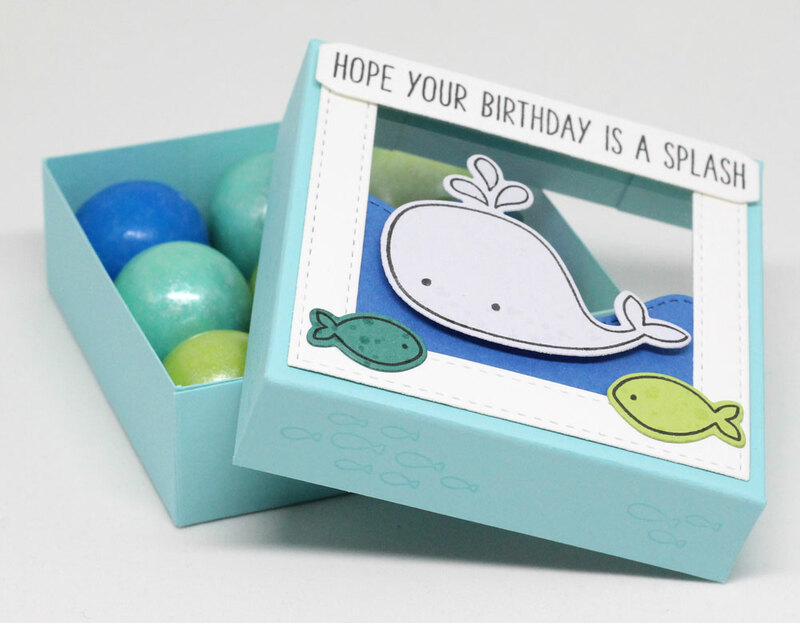 How fun- gumball waves to eat with the whale and fishes! it's a super sweet box!!! 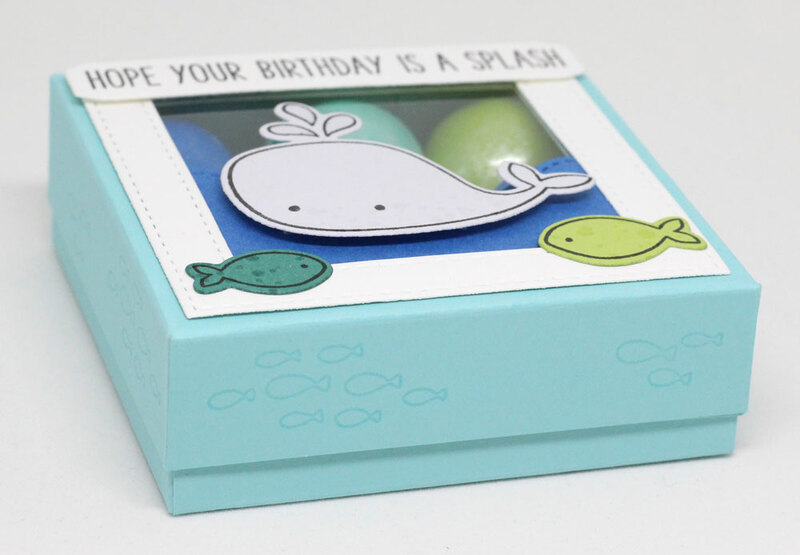 Jody, such a clever little gift box. Such a sweet little gift! Very cute idea. Love your colors. Thanks for sharing.